The team must get younger, up and down the roster, and the older players who are way past their primes must go. Right Field — Marlon Byrd, even at age 37, is one of the only players who lived up to his salary. He is still in very good shape, and at $8 million for the 2015 season, he should be brought back as the starting left fielder. Center Field—After two seasons in CF, it’s clear that Ben Revere doesn’t have the arm strength necessary to play the position successfully. He also doesn’t possess the power and RBI potential to be an everyday centerfielder in the majors. He is a nice player way out of position. It’s a priority that the Phillies, through a trade or free agency, upgrade the CF spot on the field. It’s the No.1 priority for 2015. Left Field—Dom Brown has been given every opportunity to flourish in the the last two seasons, and he has come up short. The Phillies can’t afford to give him a third season, so a trade for or free-agent signing of a run- producing leftfielder, is vital. With a stronger outfield the Phillies will add the extra runs they’ve not been able to produce the last three seasons. Third Base—Cody Asche had a so-so 2014 season, but he’s a young-home grown player who has to be given every chance to be the permanent third baseman. I would like to see Asche pick up his HR & RBI totals in 2015. If he can, the jobs his. 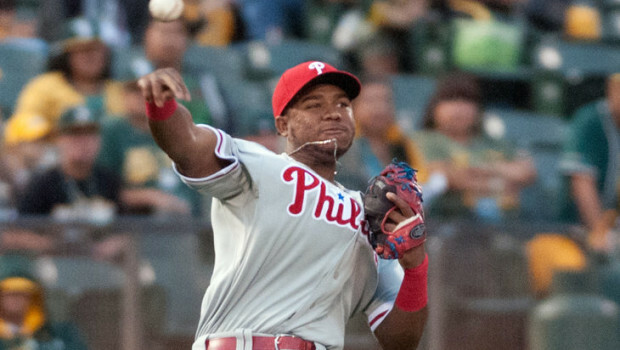 Shortstop — My choice would be to go young with Freddy Galvis. They have invested time and money in Galvis and need to find out if he can hit enough, because he’s a solid with the glove. Jimmy Rollins, a five-and-10 player, would have to agree to be moved. The golden oldie infield has produced two straight last place finishes, and no one believes it will get any better. The “2008 thank you for the World Series tour” needs to end, starting in 2015. Second Base—It’s time to move on here too. Give Cesar Hernandez the job and see what the young guy’s got. Thanks for the memories Chase Utley, but father time catches up to all of us. First Base—Some will argue that the “Big Piece” still produced 100 RBI’s. Yes, he did, and if those rib-eyes had produced better than a last-place finish, I would join in the praise of Ryan Howard. 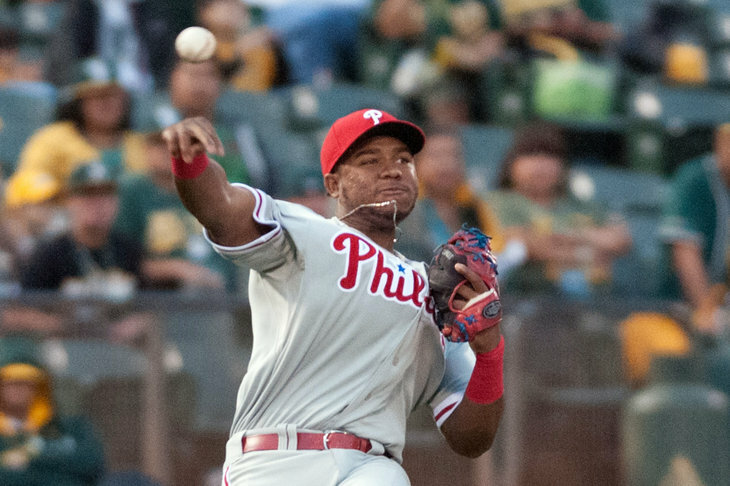 Maikel Franco is a young up and comer, and the Phillies owe it to their fans to see what Franco can do with a whole season. Catcher—Carlos Ruiz has had a great run with the Phils, and he is one of the most popular players to put on the pinstripes. But it’s time for a younger backstop with more pop in his bat. Starting Pitchers—Cliff Lee coming off elbow soreness needs to show he’s the pitcher he once was. Cole Hamels needs to start the season in mid-season form at the top of the rotation. Kyle Kendrick’s time in Philly as a starter is over — let him go in free agency. David Buchanan, Jerome Williams, and Miguel Alfredo Gonzalez round out the starting five. Relief Pitching—The only real bright spot from a dreadful season, the bullpen emerged as one of the toughest in the National League. Jonathan Papelbon, Ken Giles and Jake Diekman came in with the hammer and closed off games at a high clip, and with a lineup that can produce more runs, these guys in the pen could be the strength of the team, long term.